If you have new pins in any of the above categories please be sure to send a pin to either PDG Lion Jim Newman or to PCC Lion Bill Smith (MD24 Personal Pins). 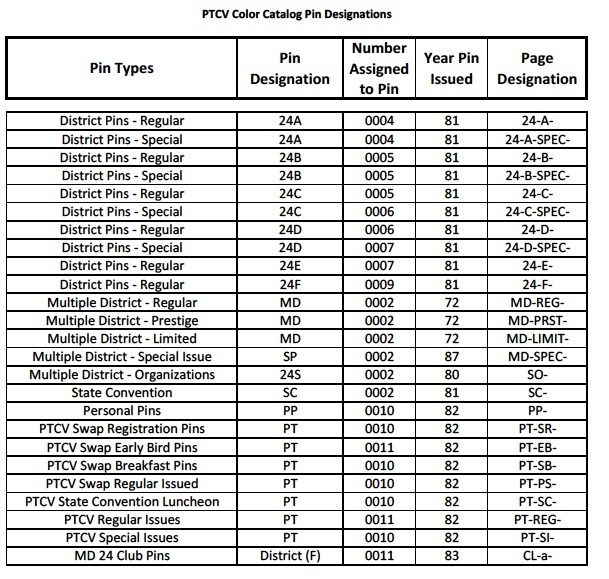 A Number has been assigned to each pin listed in the club catalog. 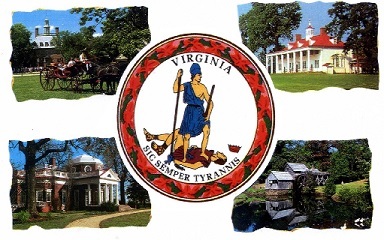 There is a little variation from the numbering system used for all other pins in the PTCV Pictorial Color Catalog. You will see the pins being numbered in this fashion, such as F 0001 82, where the first letter represents the district in which the pin was issued, the four digit number represents the number assigned to the pin and the last number is the year the pin was issued. The page designation is also a little different, for instance: CL-A-1, the frist two characters specify they are club pins (CL), the next character is used to designate the first letter of the club name (A), the last character is the page number (1).